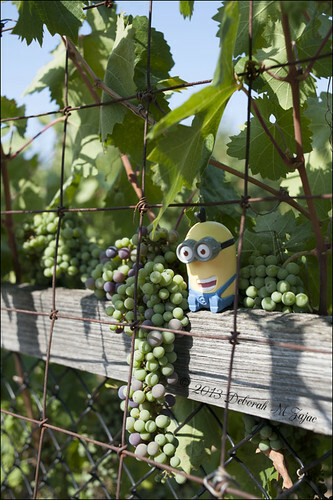 Hahaha Grape!, originally uploaded by CircadianReflections Photography. While on a short hike this morning I came across a small grape vine growing along a fence. It was a great place to stage Tim Giggling Minion.